I come late to this idea, but better late than never right? While researching for an upcoming marketing course, I found quite a few blogs which accept new guest posters. Now some cheeky monkies will try to charge you $190. Others will not let you post a Bio and URL (unpaid writer). Still others are too busy to reply… and leave you wondering! 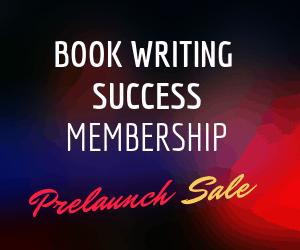 But if you can get a blog owner who is organised, reciprocal minded, and has topics in your Niche, BINGO! You may just have the start of a winning relationship. Blogs with high Domain Authority and Trust flow (and relevant to yours) will give your URL more Google Ranking karma. Conversely, blogs such as a friend’s Blogger site will give you reverse trust flow. Blogs with a high level of visitors (2,000+ per month or high follower engagement) will give you real visits – expect 1-5% of views to click your link. Blogs that allow you to repeatedly write will help you to gain a new crowd without owning the platform. Brand Blogs are bombarded by posting requests daily. Individual Bloggers are probably the easiest to target, however they can also be particular about tone, grammar, style, and depth. A further place to blog is free forums, such as Commonwealth Women in Focus. Once you join and fill out your profile, you can post blogs. There are at least a dozen women entrepreneur communities – some paid, some free. At Writers in Charge, there is a list of 20 marketing blogs with their Domain Authority, that will accept guest posts. Always check the submission guidelines and remember the word count and reader profile before writing (or pitching your idea). Check back with the editor in two weeks to see if it is being scheduled yet. Although you usually steer clear of over promotion, if you write this byline for the reader with thought to giving your tips, then you have more chance of gaining a new visitor. Mention your specific target market, country, topic, and business name within the Byline. 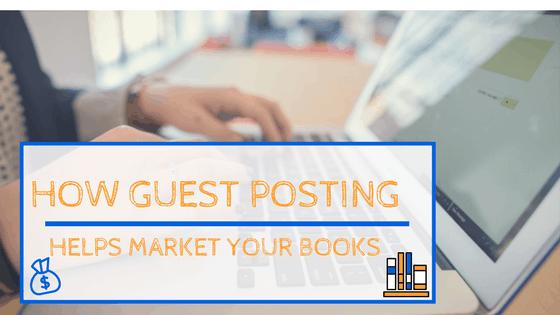 So How Does Guest Posting Help Market your Books? 100 times the reach of your own blog! And if you ensure that your articles pave the way for your book’s message, then this will increase people’s trust in you as a thought leader. What other places do you know of that accept guest blogs? Wow, I didn`t even know how complicated is it.